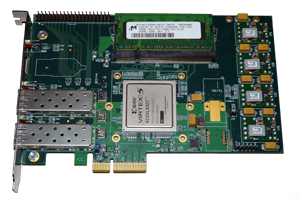 The GPLANAR card provides high connectivity. Its 2 SFP slots support both optical or copper Gigabit Ethernet, and the dedicated GPON interface makes GPLANAR a real all-round, high speed device that can monitor a wide range of networks. The cards can also be customized by clients: two types of core FPGAs and two types of OLTs can be ordered to satisfy all costumer needs. These features ensure that GPLANAR offers a fast, widely configurable network monitoring solution optimized to user demands. 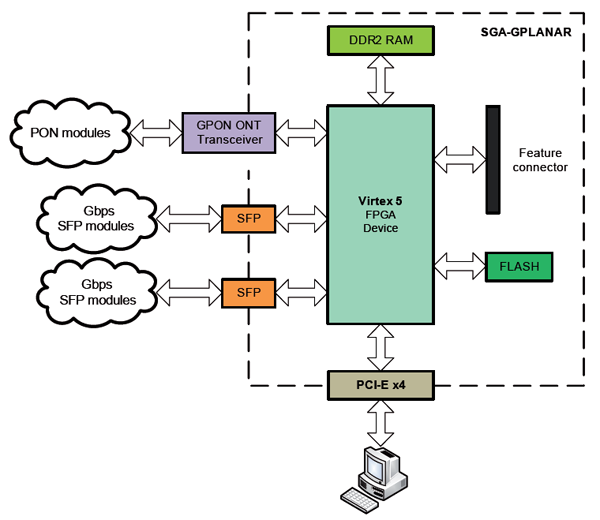 Four GPLANAR models are available depending on the chosen FPGA chip and the insertion of an OLT transceiver. AITIA’s top scale model includes Xilinx Virtex 5 FPGA with 5.32 Mbytes of Block RAM and 64 DSP slices.